Aberdeen to play Kilmarnock or Rangers, while Hibs will host Celtic. Scottish Cup holders Celtic will travel to take on Hibs in the quarter-finals. Aberdeen will host either Rangers or Kilmarnock at Pittodrie. Hearts will head west to take on Championship strugglers Partick Thistle at Firhill. 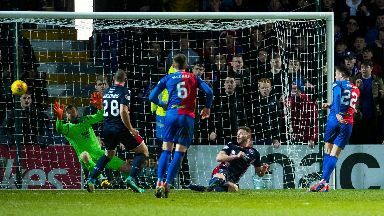 The draw took place after Ross County and Inverness Caledonian Thistle finished 2-2 in a thrilling encounter on Monday night. They will meet again next week, with the winner visiting Dundee United, while Rangers host Kilmarnock in the only other replay. Ties to be played on the weekend beginning Saturday, March 2.